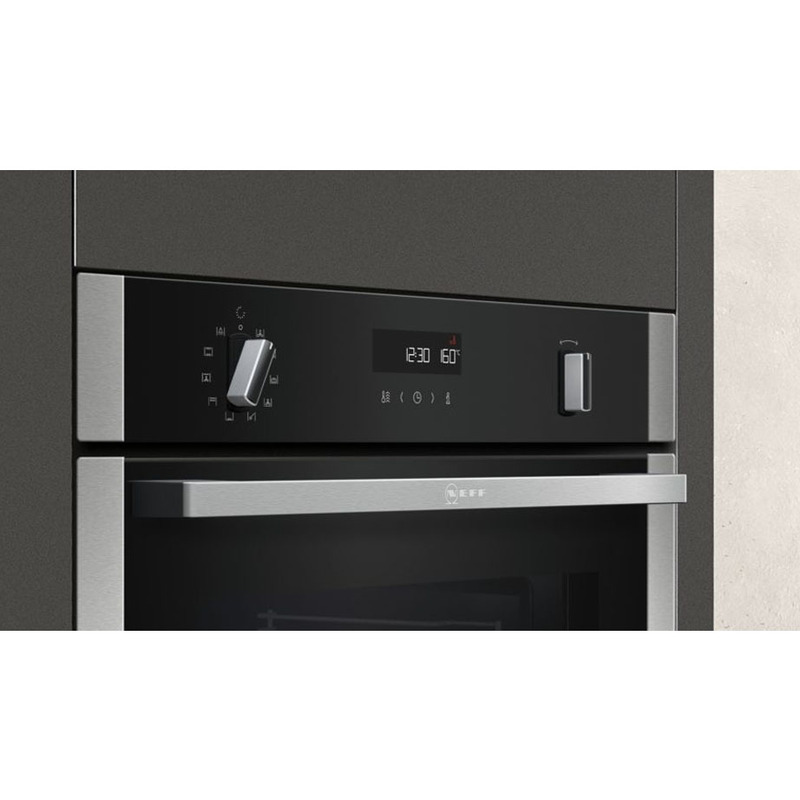 This Neff Single Oven boasts both style and practicality and comes with a range of convenient features to help you master the art of cooking with ease. 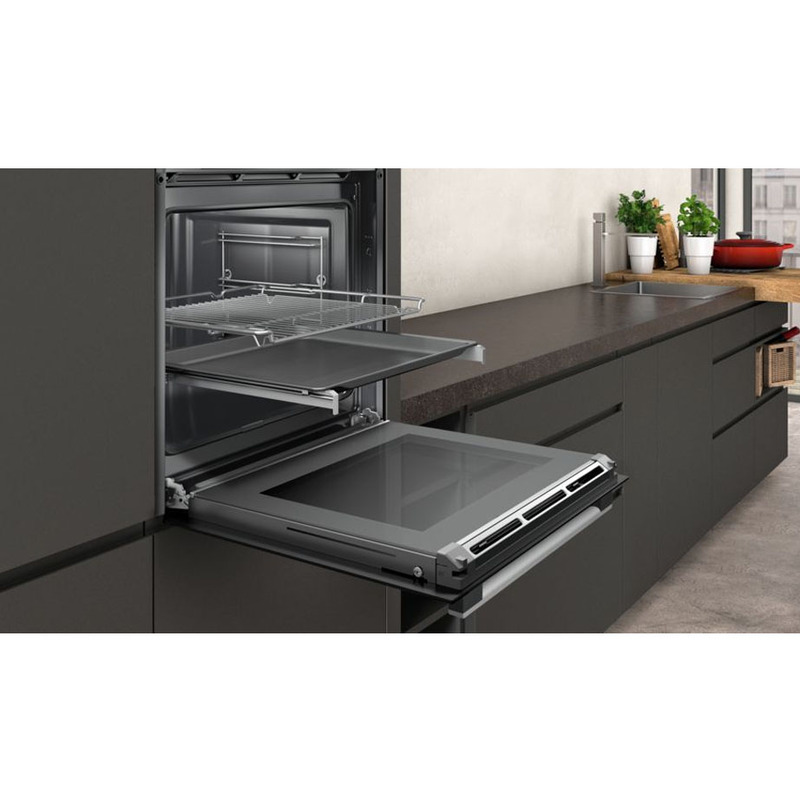 Neff’s CircoTherm function allows you to cook, roast and bake on all levels at the same time, without having to pre-heat the oven. 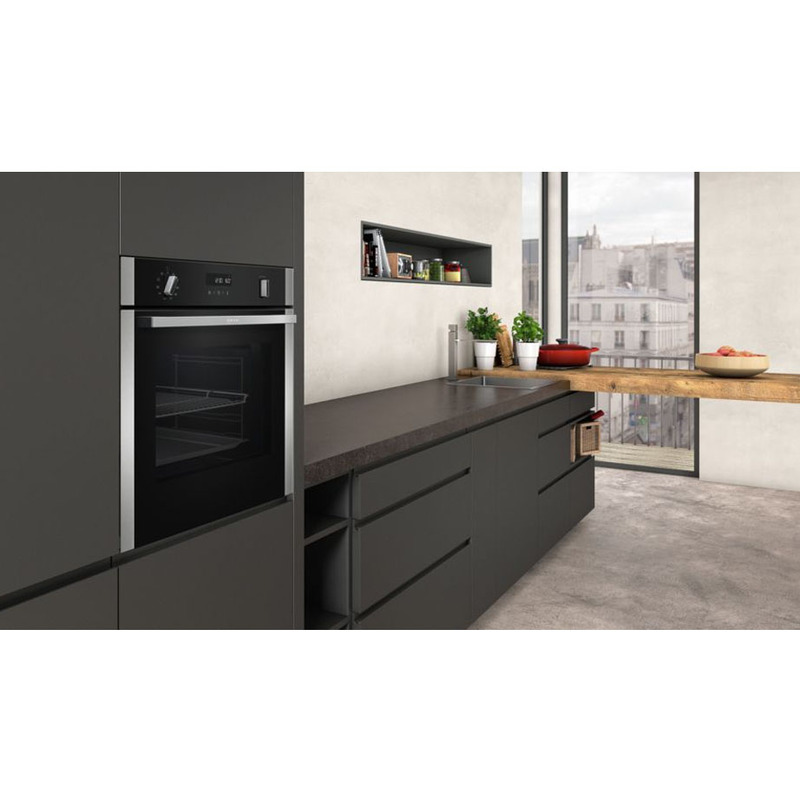 Thanks to this award-winning hot air system, you can create an entire menu of different dishes while avoiding flavours mixing or transferring. 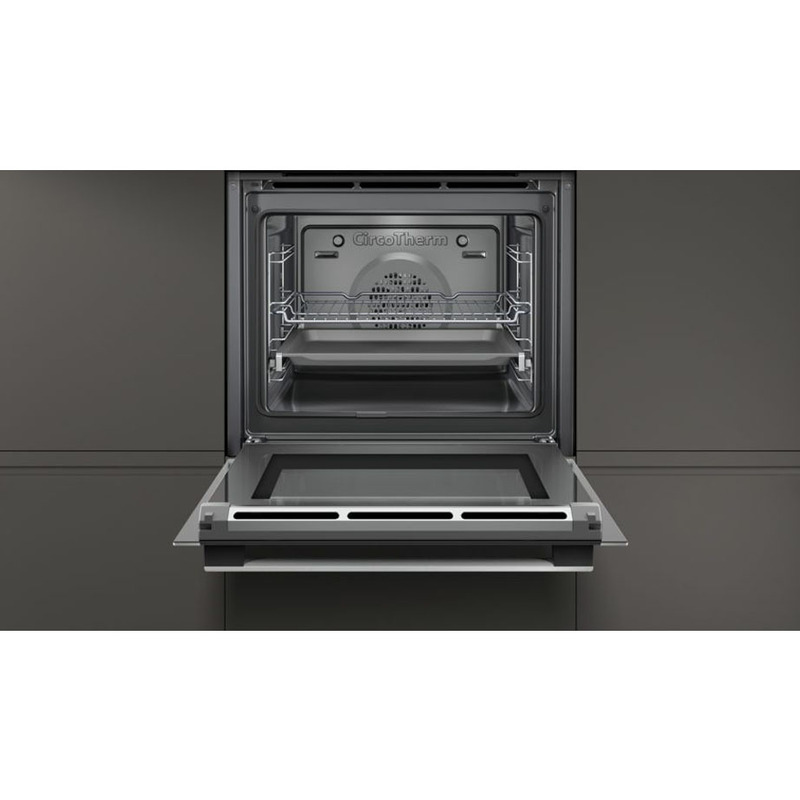 Pyrolytic cleaning stops grease and grime from staining the NeffElectric Oven. Combined with EasyClean, you can just wipe down the inside of the Neff every now and then, and it will stay sparkling. This unique hot-air system can apply different levels of baking and roasting to different shelves. 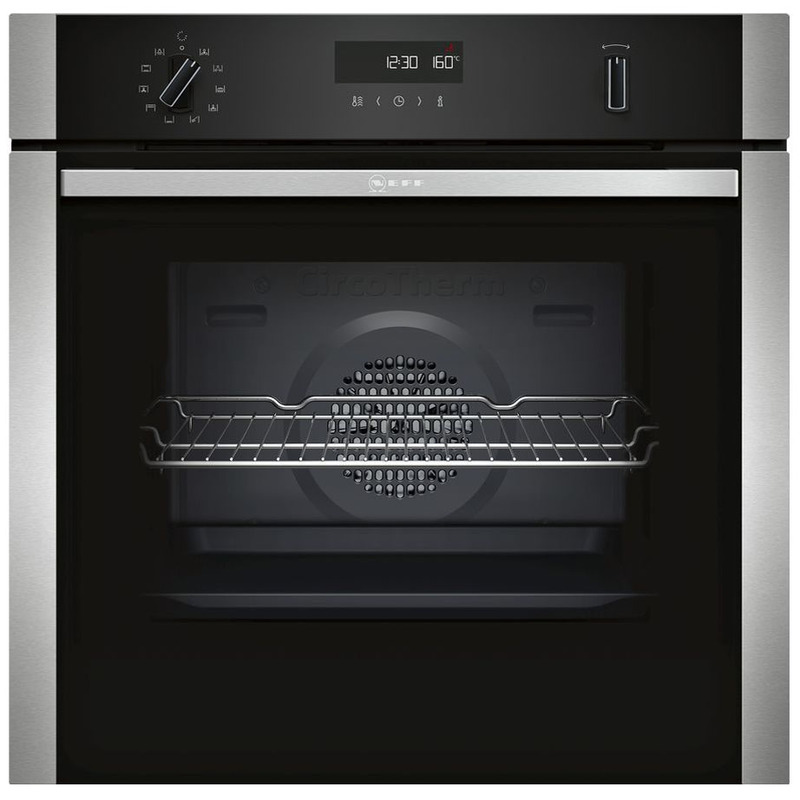 This lets you roast the turkey on one shelf, cook Yorkshire puddings on another, and bake a classic sponge cake on a third. Get all three cooked to perfection in time for Sunday lunch.